Sally 4th we will be running a special deal on there range of 28mm WWII Normandy buildings. Buy three – get one free, plus a free ruined 1st floor. This offer is good for the complete Normandy range including Church, Shops, House at Dead Mans Corner and all the accessories. These buildings can also be used as British buildings (for Operation Sea Lion, for example) by leaving the shutters and dormer windows off. Miniature Wargames’ best ever subscription offer, just £39.99 for an annual subscription – a saving of over 25%. This offer will only be available at Salute – so pencil in a visit to stand TE03 to make sure you don’t miss it. We’ll see you at the Show! 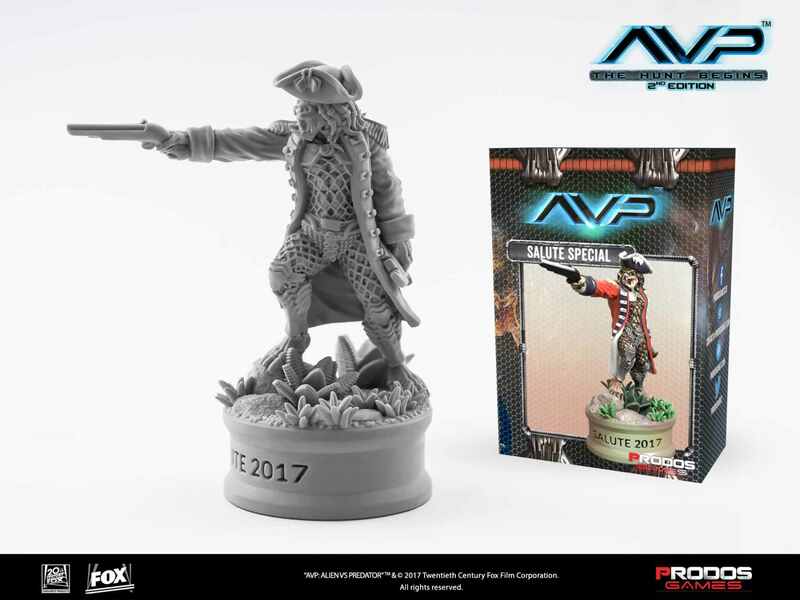 Warfare Miniatures at SALUTE 2017 – 10% pre-order discount! These guys will be on duty at SALUTE 2017 with the full range of Warfare Miniatures products. Find them on the Victrix stand. They will be carrying everything in the range including the new Marching Russian Musketeers and Pikemen from the GNW range. Anyone making a pre-order before the show will receive a 10% discount. To PREORDER simply choose what you want from the shop and send an email to wordtwister@hotmail.co.uk and they’ll make up the order for collection on the day. Crann Tara will be at Salute on Stand TK04. There is a pre order coupon for use up until 15th April, just spend more than £40 on products for collection at the show and enter Salute2017 at the check-out to receive 12.5% discount on the order. The offer doesn’t apply to regimental,or brigade pack deals. Steamforged Games have announced thier show only model and will also have some Easter egg Fangs on sale as well as the new team boxes, whilst the show boxes look to be normal price, they are ahead of release. 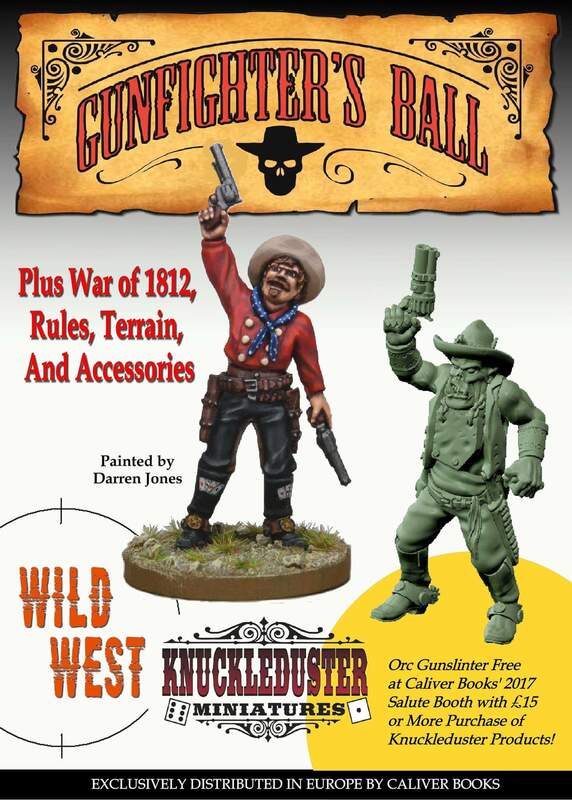 Colonel Bill’s Wargames Depot are giving you 10% off if you pre-order to pick up at the show simply follow this link for details! FREE MINI! come to the Mantic stand (TB03) and claim your free Walking Dead: All Out War Walker. That’s right, a cool miniature that’s completely free… while stocks last. THE UK LAUNCH OF LEE AND CLEMENTINE! This will be your first opportunity to pick up the show exclusive Lee and Clementine Walking Dead booster in the UK and we’ll have very limited numbers at Salute. Don’t worry, the set will be available online during the Mantic Open Day on May 6th too. PAINT YOUR OWN WALKER! Spend some time carefully adding horrific blood effects and gore to a Walking Dead miniature before taking it home to scare your friends. INCREDIBLE WARPATH DEALS! We’ll have a very limited number of the Kickstarter Battlegroups available, including Enforcers, Forge Fathers, Asterians and Veer-myn for £60 each, plus we’ll have GCPS for £50 and Marauder support for £30. You better be quick because they’re bound to go fast! ANOTHER INCREDIBLE WARPATH DEAL! Along with the Battlegroups, you can get an expanded Operation Heracles set, which includes a tonne of Forge Fathers and Enforcers, plus tokens, dice and the Warpath Rulebook Collection, all for just £100! THE WALKING DEAD DEAL! What’s that? You still haven’t played The Walking Dead: All Out War! Well, this is your chance to buy the Core Game and the Days Gone Bye expansion for just £50 (saving almost £10) or you can get a massive Atlanta bundle for £100, giving you everything you need to recreate the story of Rick Grimes as he reunites with his family. DMB Games have informed us that there Dungeon Core Set will be available on the day for £100. Quite a bit of dungeon crawling for your money there. Top 10 Reasons to visit the Osprey Games Stand at Salute! Cavalier Books uploaded the following to Facebook. Warlord Games have announced that the first 100 sets of Dr Who. Exterminate will have limited edition red dice, as my red dice always roll better than white I think Ill head over that way early. Recieve a plastic box set (under £30) from the same range free when buying Hail Caesar, Pike and Shotte, Black Powder and Gates of Antares rulebook. Buy any 5 blister packs and get one free, 3 tanks for £40, there can’t be any other offers surely, buy any 3 Warlord product boxes and get a fourth free. The terminator game will also be on offer at £10 for the starter set. Buy Zulu! book, get any plastic box set from Anglo – Zulu range for 1/2 price, and finally spend more than £30 on the warlord stand and you will get a Free “Salute Your Enemy” Test of Honour card with every purchase over £30, which looking at the offers here £30 should be pretty easy to reach. We are on Facebook where you can see more off what we do and also on Patreon as well, where you can help us bring more news and reviews to you by donating a small amount each month. Thanks!